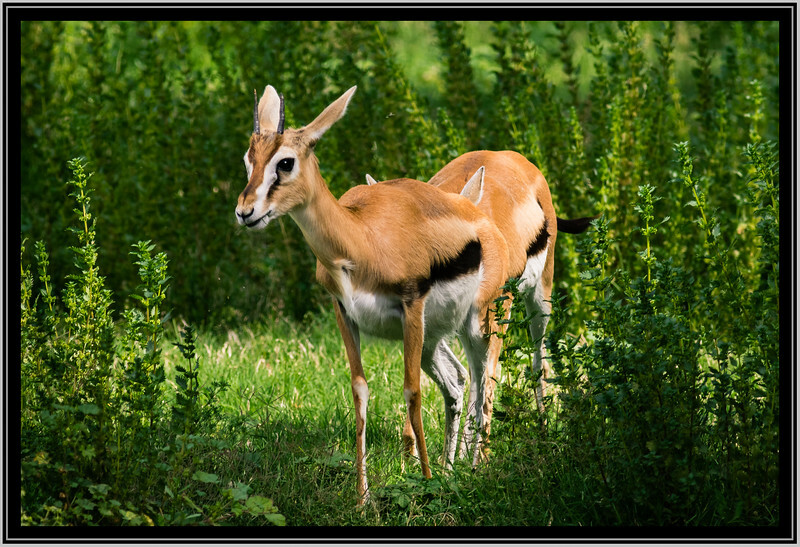 Magnificent capture of this Thomson's Gazelle. Such a beautifully proportioned and patterned gazelle !! Excellent shot - they are SO pretty! Beautiful shot of a beautiful couple of animals. Lovely detail and great portrait. My first response to the keynote was that's an African animal in a strange habitat, then I read your blog. Great catch of the tommie!